Did you know that up to three lives can be saved when you donate one pint of blood? Donating blood is a safe, simple, and satisfying experience. 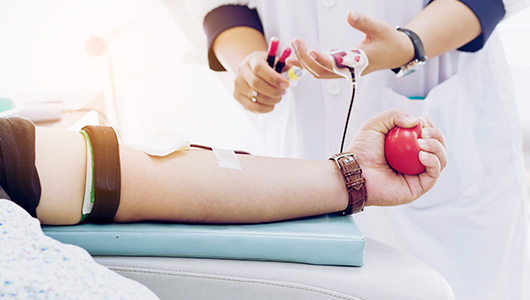 More than four million Americans need a blood transfusion each year; someone needs blood every two seconds. No matter what your blood type, give a pint. Minimum weight for donors is 110 lbs. For more information or to make an appointment, contact Nancy Smithwick, Health and Wellness Center; 631-420-2136.